Rigby, John ~ Suddenly yet peacefully at the Guelph General Hospital on Tuesday, April 19, 2016 at the age of 85. Beloved husband of the late Thelma Jean Rigby (Simpson) (d.1993). Loved father of Wendy (Marg) and the late Gerald (d.2000). Proud Grandad of Gerry (Michelle), Justine, Jennie; Papa John of Sean (Kathleen) and Carrie (Jeff); great grandpa of Chase, Brooke, Kalina, Josh, Cole and Caleb. He will be fondly remembered by the Simpson families, many nieces, nephews and dear friends. 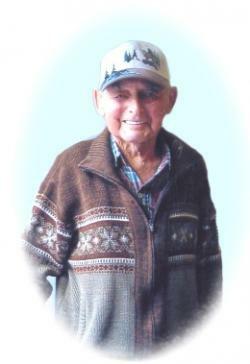 John was the owner of John’s Car Sales on Woolwich Street, Guelph for decades. He was a proud supporter of the Everton Football team in England and a loved patron of the Army and Navy Club. The family would like to thank the wonderful doctors and the phenomenal nurses "his second family" who supported him at the Dialysis Clinic in Guelph. Predeceased by his parents Joseph and Florence Rigby and all of his brothers and sisters. Cremation has taken place. Celebration of Life 11:30 a.m.